When snow falls, your character might want to wear something heavier than shoes. Boots come in all types and designs, but the basic outline of a boot is usually the same. Boots might seem complex, but they are full of very simple lines that are easy to correctly place on the drawing. Draw a diagonal oval for the base of the boot. Draw a half oval for the top part of the boot. At the very top of this second oval, draw a curve with the curve rounding out downward. This top-half oval should look slightly like a cup. 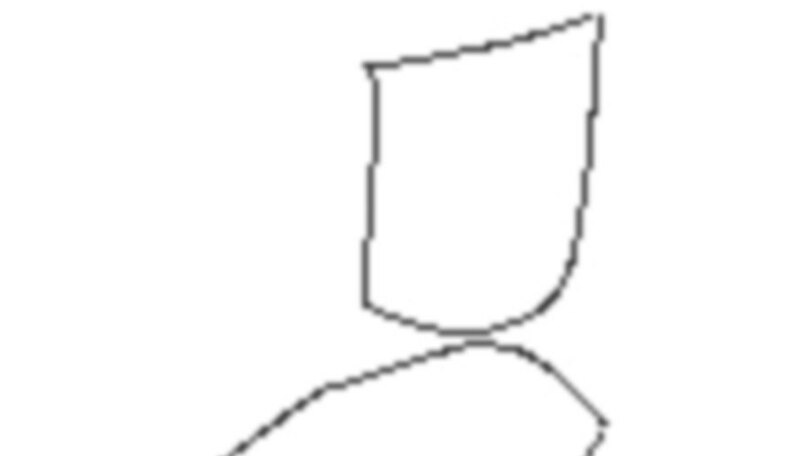 Draw the top of the boot somewhat like a rectangle with the corners rounded. 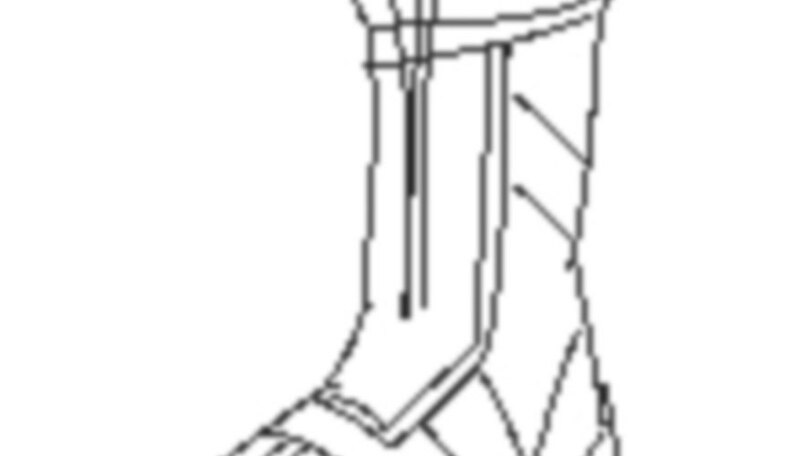 Draw a curve under the base of the boot that follows the same shape as the bottom part of the base of the foot. This will be the sole of your boot. Draw curving lines to connect the top and middle parts of the boot. 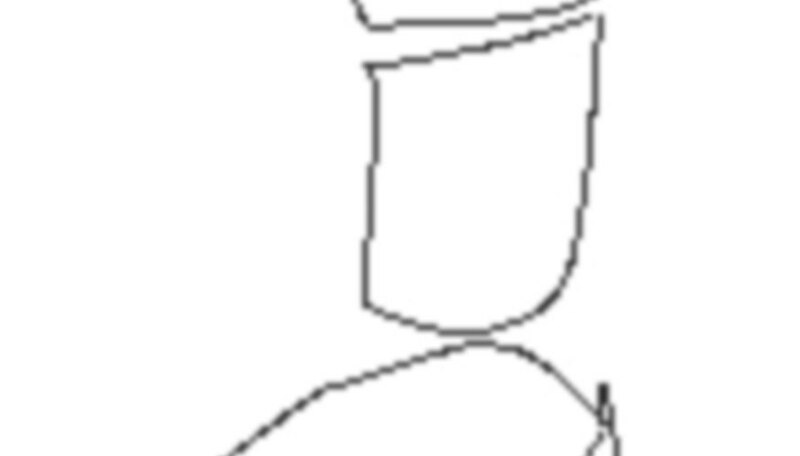 Draw curving lines to connect the bottom and middle part of the boots as well. If a line is drawn with the curve going inward, the boot will appear too big for the foot, while if the curves go outward, the boot will seem to bulge. Erase the bottom part of the middle shape and the top part of the bottom shape. These guidelines are no longer needed. Start adding the details. Different boots have different details. 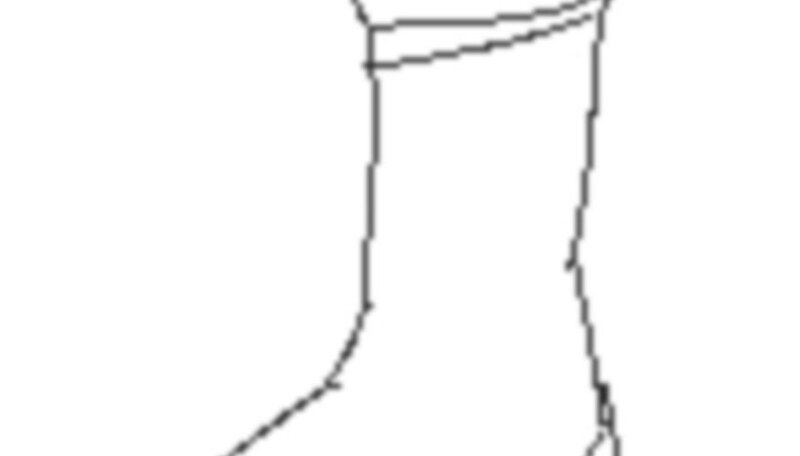 For this boot, draw a tongue at the top that looks like a slim rectangle with a curve at the top. 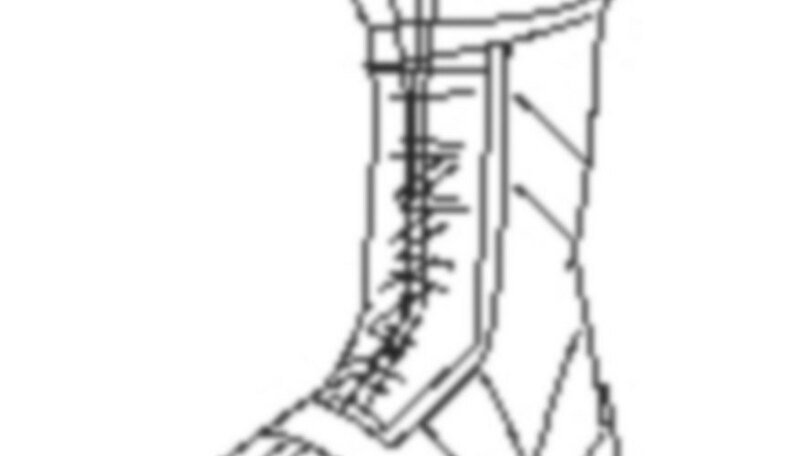 Draw stitching on the sides of the boot. Add the lacing to the boot by drawing double criss-crossing lines. Look at pictures of boots for reference. Boots come in many different designs.